I love the smell of it. I love how I think it should taste (but doesn’t really). I love coffee cake (not coffee cake like a cake you eat with coffee – although I like that too – but cake that’s coffee flavoured). I love Coffee Crisps. But I don’t actually like anything that’s real coffee – not even fancy pants drinks like lattes and frappacinos and mochas. Coffee also doesn’t like me. You see, I do try it about once a year to see if anything has changed. But it hasn’t. I don’t really like the taste and more importantly I don’t like how I feel afterwards. My stomach doesn’t like it and I feel shaky and strange for an hour or two afterwards. I suppose it’s the caffeine but, tea doesn’t bother me and neither does soda. What I failed to notice was the word “cafe” and the finer print of “a deliciously sweet coffee and tea blend, flavoured with natural caramel essence”. So I made myself a mug, added a teaspoon of sugar and some vanilla soy milk (I only drink black tea with milk and sugar – it’s from drinking copious mugs of tea in the UK when I lived there). And guess what? I love it. It’s my favourite afternoon tea right now. I love the richness of the whole mug, the very light coffee notes and aroma – barely there but just noticeable, and the touch of caramel flavour to add some sweetness. 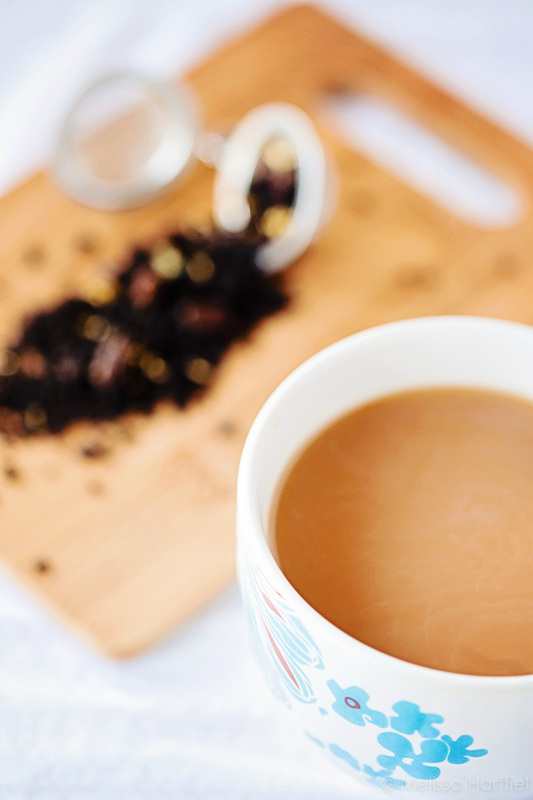 This may not be a tea for everyone, especially if you are a true coffee aficionado, but, for somebody like me who struggles with coffee but wishes I didn’t, it’s perfection! 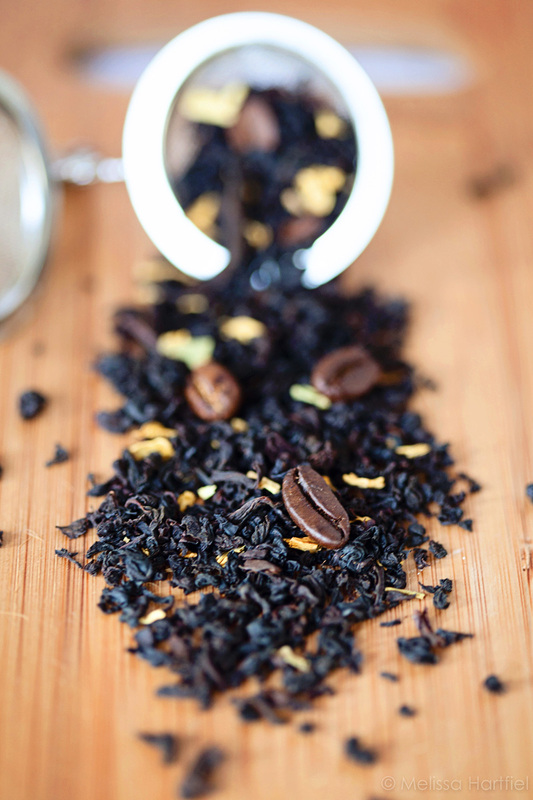 The caffeine level is at the highest rating that the Tea Leaf Company gives, as you might expect with a black tea, but it hasn’t bothered me and I do drink it in the afternoon. No problems falling asleep at my usual time either. Coffee and tea may seem like a strange mix and I never really thought it would work but, I am so pleasantly surprised with this one. It has won a place in my regular restocking rotation! It also goes especially well with a chocolate biscuit… you know, the kind that Martine McCutcheon gives Hugh Grant in Love Actually when she tells him she was glad he won the election and how she’d have given the other fellow the boring biscuits without chocolate. Always get the chocolate biscuits because life is too short for the boring biscuits! 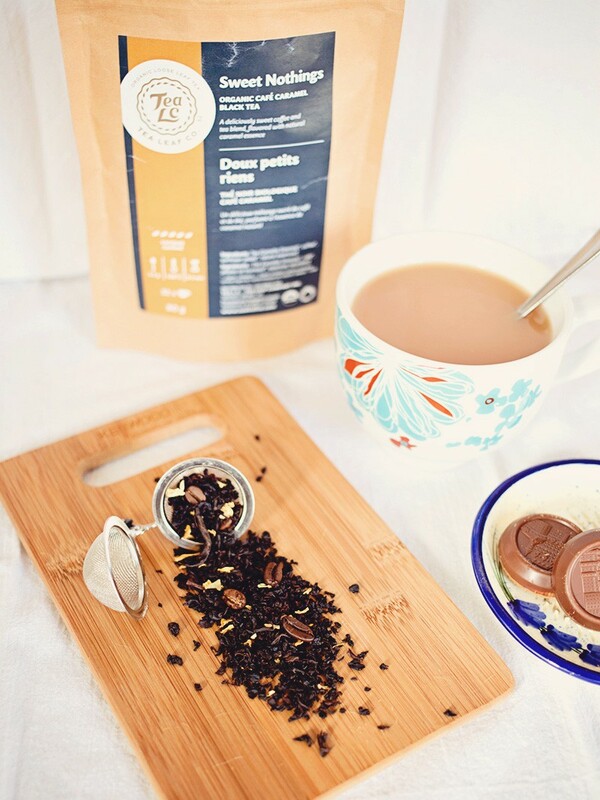 You can read more of my Friday Tea and Chocolate and Tea Musings here. There is no disclosure notice for this post because this is not a sponsored post. This tea was purchased by me as part of my personal tea collection. And I like it. Ooo… this sounds fantastic! I’m with you on the issue of coffee: love smell, love coffee-flavoured things, hate actually drinking it. This sounds like a fantastic compromise. I really enjoyed it. The coffee flavour is very subtle so, it’s almost like you’re smelling it, not tasting it – if that makes sense! This sounds delicious, maybe I should try this one.